The Coral is a 2-Story style home with an open floor plan designed for entertaining. This floor plan has a great room, spacious kitchen with center island, and bright 12' slider in the dining room that expands your living area into the back covered patio. The beautiful kitchen is highlighted by 42" upper cabinets, granite counter tops, a large pantry, and stainless steel appliances. You will also appreciate an elegant master suite with upgraded deluxe oversized shower. The home boosts a temperature controlled crawl space and an active radon system that is standard. It also will come with fully landscaped front and back yard, including sprinkler system. With a choice of restaurants and shopping nearby, the community of Mountain Valley Preserve gives you full access to Colorado Springs. 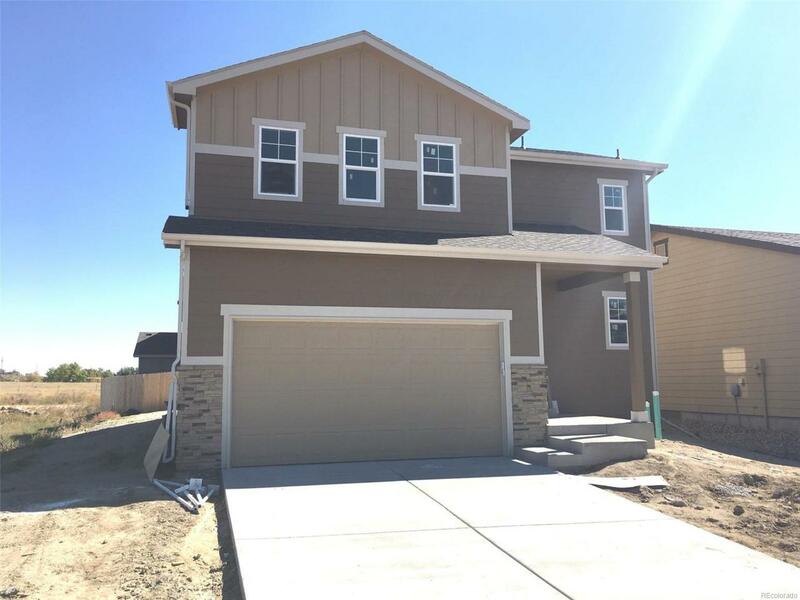 This home is under construction and will be completed this fall!